Prison Grievances (Spanish Edition): when to write, how to write (Captive Audiences Publishing, 2015). 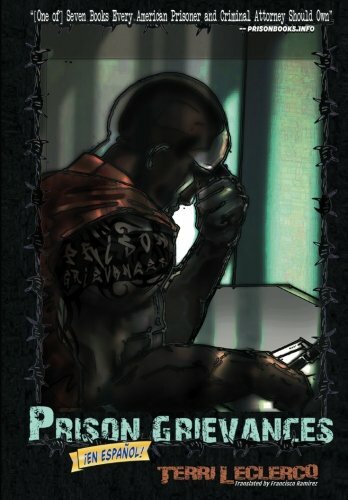 This entertaining and educational graphic novel teaches inmates how to think through a jail or prison problem and then write a grievance about it. Written with 5th-grade Spanish vocabulary and syntax, it engages readers with plot and character development. Grievances must conform to the stringent rules of the federal Prison Litigation Reform Act and the rules of particular jails or prison systems. This novel teaches those rules. It also warns against frivolous and malicious filings. Endorsed by Sister Helen (Dead Man Walking) and over 700 human and civil rights groups, this much-needed novel is priced just right--and needed right now.